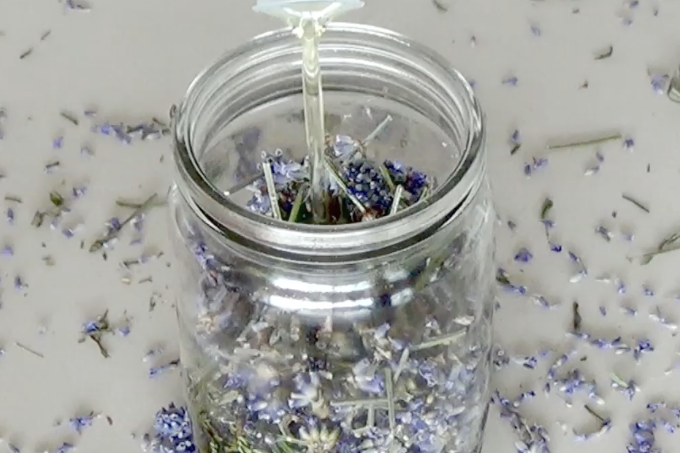 Infusion Lavender oil soothes minor skin irritations and eczema. It is also suitable for mild burns, yeast infections or for insect bites. Making your own lavender infusion oil is fun. It can be used later in facial care, body or massage oil, on scars or scrapes. It’s also an excellent make-up remover. 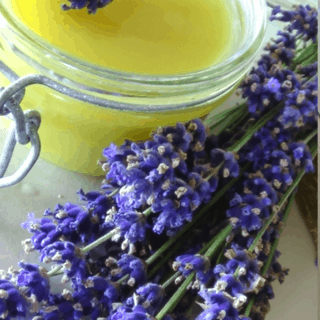 Lavender oil is present In various forms of home remedies such as salves, lip balms, massage oil. When mixed with water you can use infusion oil to fight sunburn. All you need is Lavender and any carrier oil. 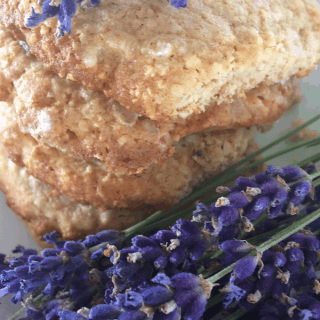 For this particular recipe, you will need a 500 ml jar filled with dry lavender. Our skin creates an astounding barrier that protects our body from external influences. At the same time, it acts as a mirror on our inner health. Lavender greatly contributes to our skin thanks to its soothing anti-inflammatory and antiseptic effects. Its use in the cosmetics industry is very diverse. fights free radical damage, the signs of aging and heal skin exposed to natural elements. rich in polyphenols, which have been linked to cancer prevention and anti-aging treatments in medical research. After your herbs are in, fill the jar with a carrier oil of your choice, in our case grapeseed oil. cover it with canvas so it can breathe and keep it in a warm place for 2 weeks. 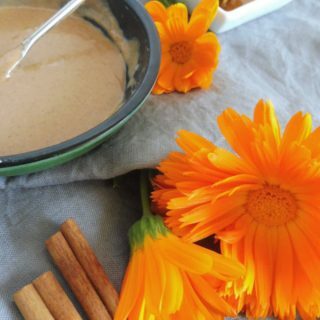 After 2 weeks, thoroughly grind the oil with a soft cloth to get rid of all the petals and get only pure oil with herbaceous substances. Elderflower infusion oils are known for their soothing effect, improving skin complexion and are especially useful for older skin. However they are also very effective in treating acne and sunburns. This highly scented and effective rose oil is a must have item in your household. Our DIY rose infused oil goes a little bit further with ultra rich grape seed oil and petals from Rose Damascena. 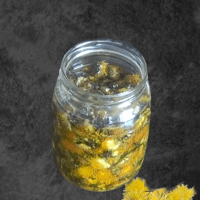 Dandelion oil is used in salves, lotions, and lip balms to soothe dry and cracked skin. Thanks to its capability to speed up the healing process of scars and calm down skin irritations dandelion oil is also efficient in acne treatment. Elderflower infusion oil has a powerful soothing effect on the skin, improves skin complexion and is especially useful for older skin. However, it is also very effective in treating acne or sunburns. 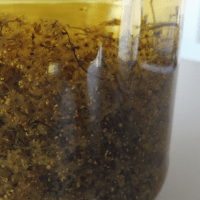 It's anti-inflammatory and anti-wrinkle properties made the elderflower infusion oil very popular in the cosmetic industry.